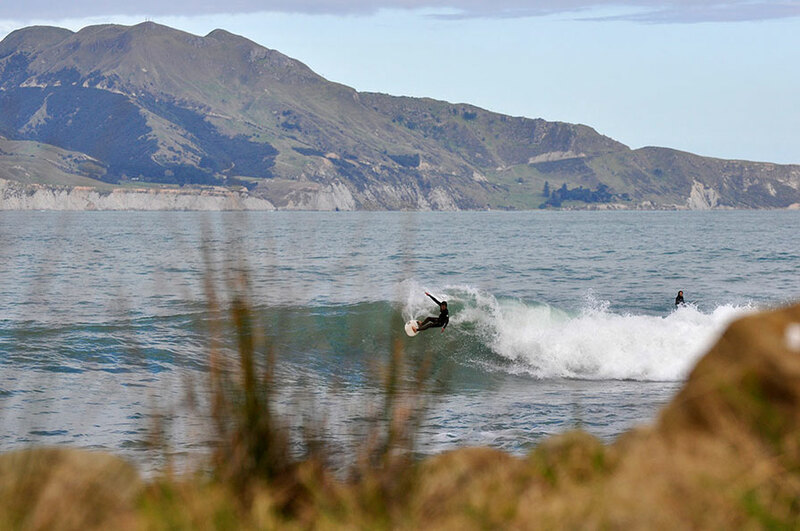 During our spring team trip, we traveled halfway around the globe and found amazing waves! Holding true to our cold water roots, the water temperature still required us to wear neoprene. Mind you, the amount of rubber we had to wear was significantly less than what we are used to. So before the trip, we all snagged different 3/2’s to put through the paces and to give you the honest scoop on what’s good and not so good about each. We put these suits through the works during the two weeks we were there. Surfing constantly, and if we weren’t surfing, these wetsuits were either baking in the o’zone depleted sun, or getting crammed into a dry bag and thrown in a hot car for hours. They were pee’d in, abused, rarely rinsed and mashed in the sand and on rocks when changing. We were basically anything but careful with these things to find out what they were really made of (all suits feel pretty great when they’re new, but what about 6 months in?). While we didn’t have that much time to test these, we tried our hardest to put about 6 months of average wear on a suit in two weeks. Obviously, we aren’t scientists, and can only give you our opinions based on a few weeks, but we hope it helps making your decision a little easier if you’re in the market for a 3/2! Shop owner Jeff eyeing up his paddle out. I won’t pretend to sound like an expert on 3/2 wetsuits, my life is spent wearing 4/3 or even 5/4 suits. When I travel however, I find it a pure joy when I get to wear a thinner suit like I did on our recent team trip. The water temperature ranged from 60 to 65 degrees and I couldn’t wait to give my new Hyperfreak 3/2 Comp Zipless suit a go. 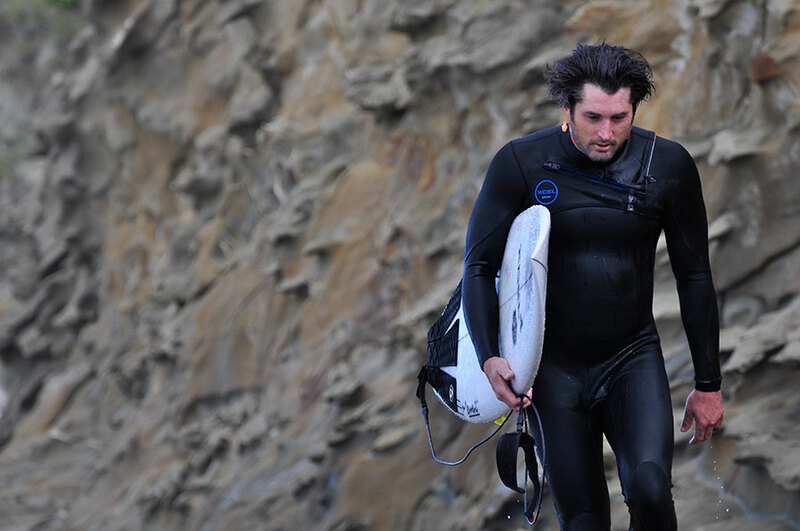 From the moment I started to put it on, I could tell this wetsuit was something special. The Technobutter 3 neoprene has to be the stretchiness, lightest, and most comfortable material on the market. Coming from the world where booties and gloves are a must, I laugh at the thought of people complaining about putting on a 3/2. If you are one of those people, do yourself a favor and get one of these suits now! It’s no more difficult putting on than tucking yourself into bed each night. And it’s almost as comfortable as your favorite pair of sheets…. So now let’s talk about how the suit performed. Pfff… it was like I wasn’t even wearing it, except it kept me warm and extended my sessions. The zipless entry and double sealed collar is a breeze to negotiate and did a great job of keeping me from getting flushed. The increased flexibility from not having a zipper is drastic, you can really feel it throughout your chest and shoulders. The suit has fully taped seams, reducing water leakage, but didn’t hinder flexibility in the least. I felt no unnecessary tightness or restriction throughout the suit. Buttery…. Was there any negatives? Maybe one. When we surfed areas where the water temperature dropped a little, I was colder than in my other suit. This is a performance suit first and foremost, it’s designed to maximize stretch and lightness. You can find warmer 3/2 suits for sure, but it would be difficult to find one that is this comfortable and performs at such a high level. If you surf water temperatures that hover around 65 and warmer, this is your suit! Colder than that, you might need a back-up. Zipless Entry over a 360° Barrier with Drain Holes and Cinch Cord creates a watertight seal with ease of entry and exit. My favorite wetsuit has been the 5.5/4.5 Comp X from Xcel. It’s been hands down the best performing cold water suit around. Recently, I was given the same wetsuit but in 4.5/3.5 to try out. I was skeptical at first that it wouldn’t be warm enough for our frigid water temps. I not only stayed warm, but it’s changed my mind on what a cold water wetsuit should be. Light, flexible, and no more bulky neoprene. So when Xcel sent me a 3/2 Comp X for our recent trip, I was stoked to see how it performed. This suit is everything I’ve come to expect from Xcel and the Comp X series. Warmth without sacrificing flexibility or adding weight. The water temperature ranged from 60 to 65 degrees and I was comfortable every session. Never once did I get cold or had to cut my session short. The suit is super flexible and light as a feather, a total pleasure to surf in. Getting it on and off is a piece of cake, and even after 2 weeks of non-stop surf, the suit still looks brand new. What is Xcel’s secret formula for making this line of suits so darn good? It has to be the TDC (Thermo Dry Celliant) liner. It’s a mineral-based fiber woven into a smart textile that increases blood flow to muscle tissue by transferring the body’s naturally produced heat. Say what? Just know it keeps you warmer so you don’t need all the other bells and whistles that add weight and reduces flexibility. Obviously there’s more to these suits than that, but I will let you read the bullet points below written by the engineers and designers. It’s my job to just describe what I feel when wearing them, and that’s total satisfaction. Overall this wetsuit ticks all the boxes. It’s a perfect balance of warmth and performance. You can probably find a more flexible suit but will be sacrificing warmth. Likewise, there might be a warmer 3/2 on the market, but you will be losing performance. This suit does it all! Nanoprene Lite Japanese Limestone Neoprene – Nanoprene Lite uses earthminded limestone to replace processed petrochemicals in the neoprene for a reduced dependence on petroleum. It is soft, light, warm, and has unrivaled memory and rebound. Thermo Dry Celliant (TDC) Neck to Ankle – A mineral-based fiber woven into a smart textile increases blood flow to muscle tissue by transferring the body's naturally produced heat. 100% Performance Stretch – A multi-directional weave with Spandex blend for superior stretch and performance. Semi-Dry Zipper with Magnetic Closure – A zip closure with a silicone strip helps to prevent suit flushing. Fusion X Seam Tape – The next generation precision tape technology, applied by a machined heat-pressure process which bonds tape directly to suit ensuring maximum seam durability while eliminating the need for excess glue that causes irritation. Glide Skin Collar – A durable, smooth skin collar creates a water-tight seal to prevent flushing. NexSkin Wrist and Ankle Seals – Liquid neoprene seals at wrist and/or ankles to prevent flushing. By far the cheapest suit of the four, the Dawn Patrol is more of your everyday man’s wetsuit. That’s not to say that this is a bad wetsuit, it’s just more of a Toyota vs a Tesla. Does the Dawn Patrol come with all the marketed bells and whistles that all the other suits tout as the next big thing? No. Is this suit going to blow your mind with it’s warmth and flexibility? (If you’re used to wearing 5/4’s, then the answer is YES). No. However all that being said, this suit is basically a zippered version of the E-Bomb wetsuit with more (yep, more!) internal taping/waterproofing. I have worn plenty of high end and low end 3/2’s in the past 10 years, and the first thing I immediately noticed was the fit of the Dawn Patrol. It felt like a $300+ wetsuit, and fit me almost perfectly with no baggy or bunchy areas around the legs or waist, and felt perfect in the shoulders. The only spot it didn’t quite fit was the length of the arms was a tiny bit long, but that had no impact on it’s comfort or functionality. Hopping into the water with the dawn patrol, I was pleasantly surprised with almost no leaking, and a high amount of flexibility for a lower-end wetsuit. The rubber on this suit felt great, and was smooth, flexible and warm throughout my sessions. If I had to pick out any negatives, the jersey lining the body (Thermoflex Neoprene) probably took away a hair of flexibility, however since it’s a 3/2, it felt just fine to me. Also, I’ve heard complaints about the way Rip Curl’s zipper’s attach, where they aren’t pre-threaded, and to that I say; if you can’t attach a zipper together, how the heck do you put a sweatshirt on. If you’re complaining about being able to thread a zipper, I’m not sure how your managing to paddle out into the ocean and survive. Overall, this was a well balanced wetsuit with plenty of flexibility and warmth. 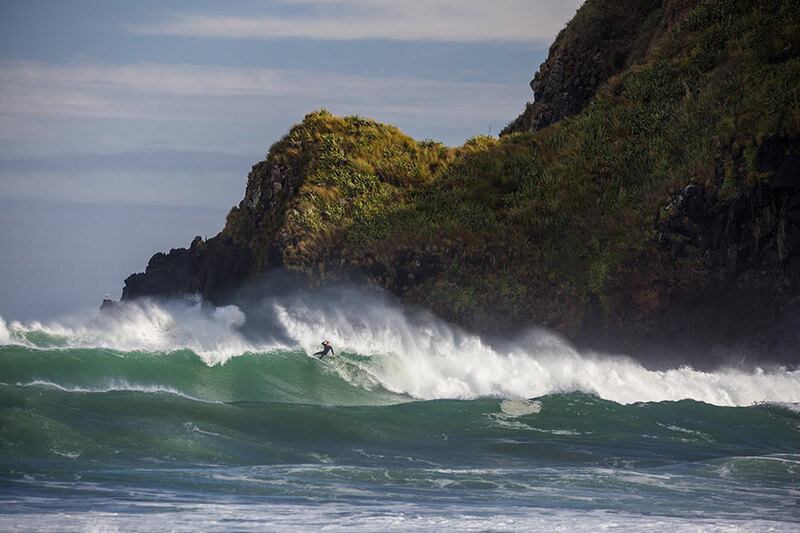 No, it’s not going to beat the above wetsuits in either of those categories, however it’s likely close enough that you’d barely notice, and you’ll still have beer money for your next trip. I couldn’t be more happy to be wearing the most sustainable and eco friendly products in surfing. On top of that I truly believe that they are extremely warm (used it through all of our trip and winter in baja/Santa Cruz). The inside has a very fuzzy and warm wool type of material that showed to be very fast drying compared to many of my friends wetsuits, along with being very flexible. I used to wear other brands of wetsuits that might have been a little bit more flexible, but the durability was not there. They would typically fall apart after so many uses, as opposed to the Patagonia suits which stay solid even after a year or more. The wear and tear of the suit is very minimal, I was also able to take it off and on very easily and quick (I seem to like the front zip much more than the back zip or no zip wetsuits because the tension is on the chest and not on your neck). I wear a Medium size suit, am 5’9” and weigh 150lbs. Fits perfectly. 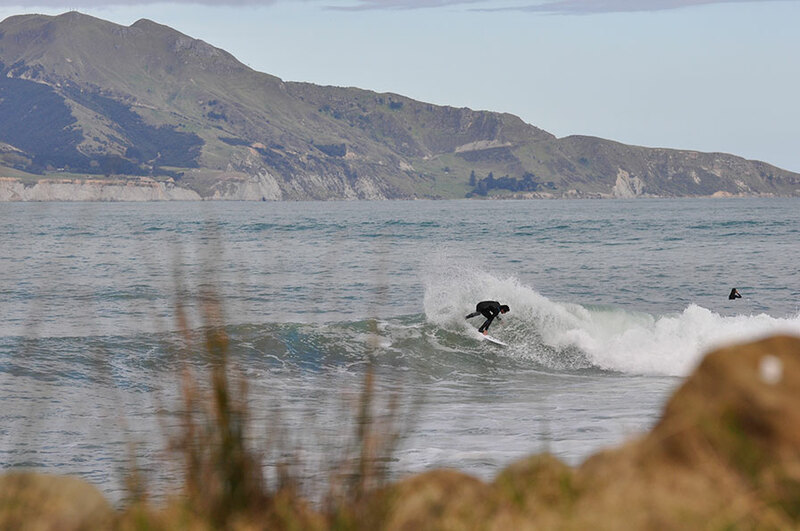 Only thing is occasionally the ankle cuffs will roll up a little bit, or the neck might let a little water in when getting pounded in waves with more consequence, but that is typical with wetsuits. 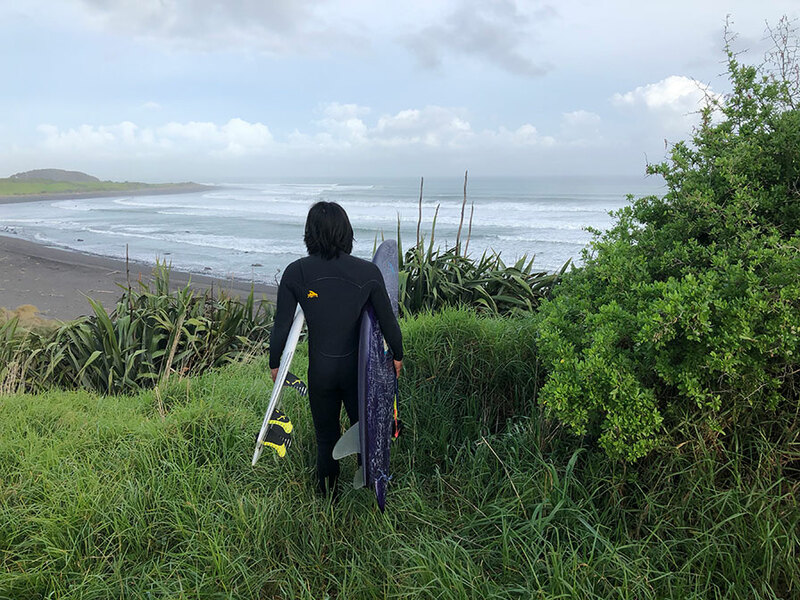 Overall I truly believe that Patagonia’s wetsuits have come a long way and I will continue to use and promote the most earth friendly products surfing has out there. 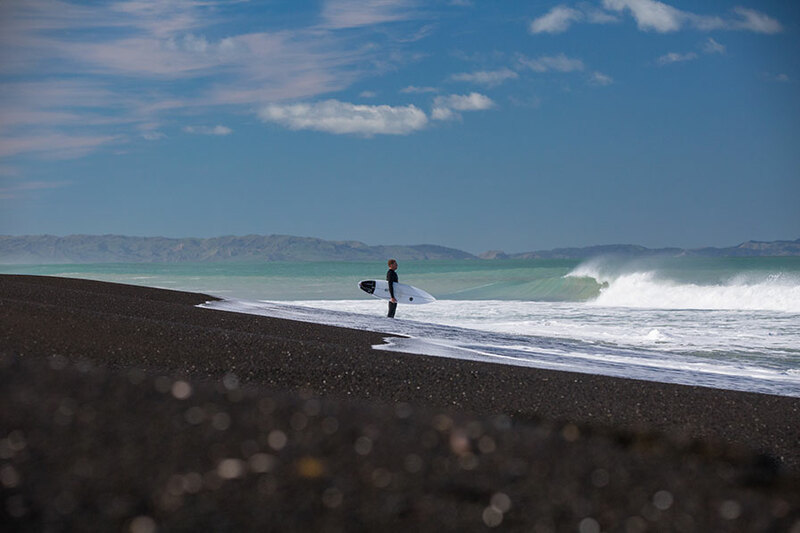 As surfers, we should respect the ocean as much as we can since it gives us so much. With all the building of surfboard technology and production, we are only harming the earth with every extra board we order so the least I can do is promote a brand that cares as much about the environment as I do. I’m looking forward to testing out the warmest suit for the coldest conditions in northern japan this winter, in Otaru, Hokkaido where we went last year. I was able to get a hold of some local pros with dry suits but with the warmth I felt in a 4/3 Patagonia, I think their thickest suit might be compatible for the harsh, snowy conditions of japan.